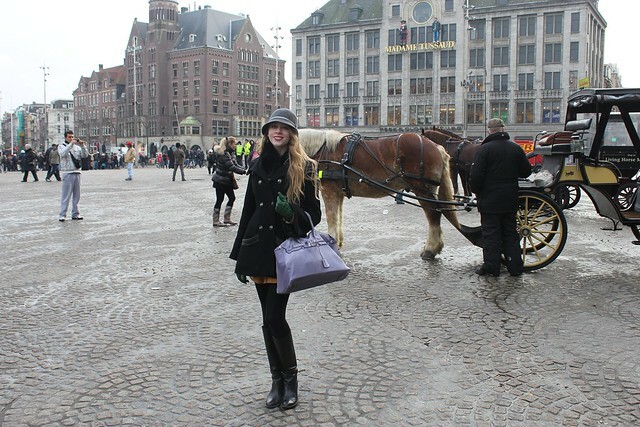 Today, I headed to Amsterdam, the centre of art, fashion, culture and even diamonds! 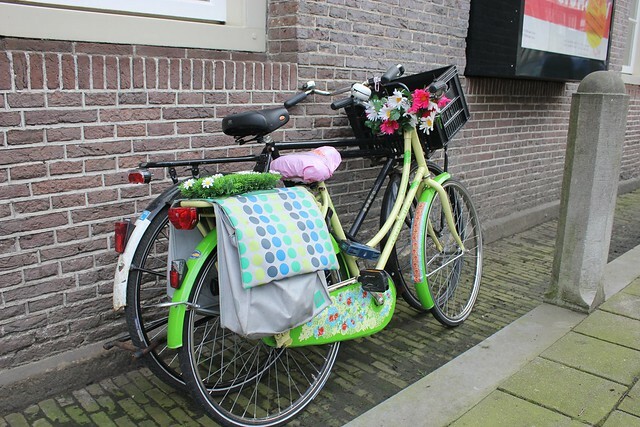 I had fun walking around the cobblestone streets, dodging bikes and traversing canals. 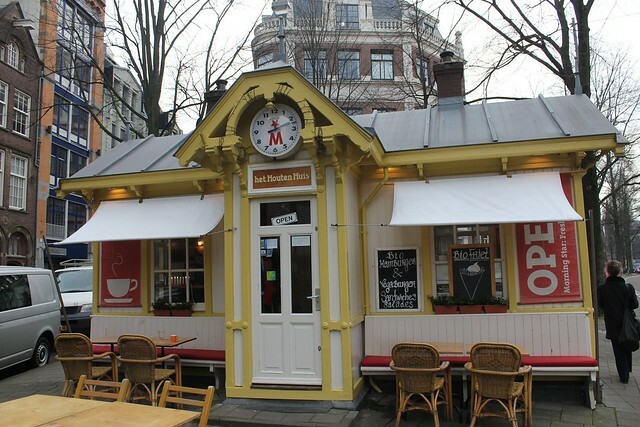 From the old churches and squares, to the modern buildings and museums, I know that I will be entertained for a while in this city. 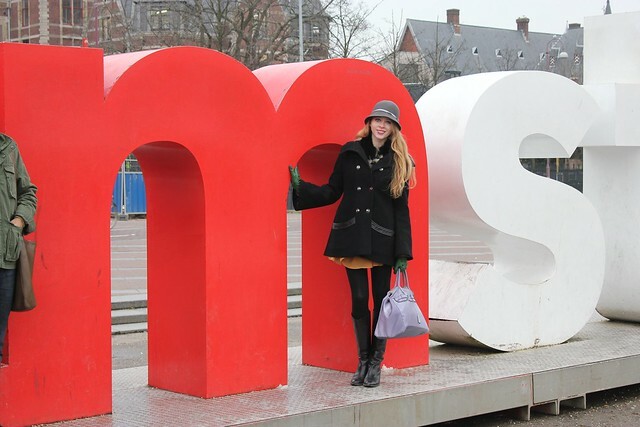 Here, I’m with the famous Iamsterdam sign in Museumplein. 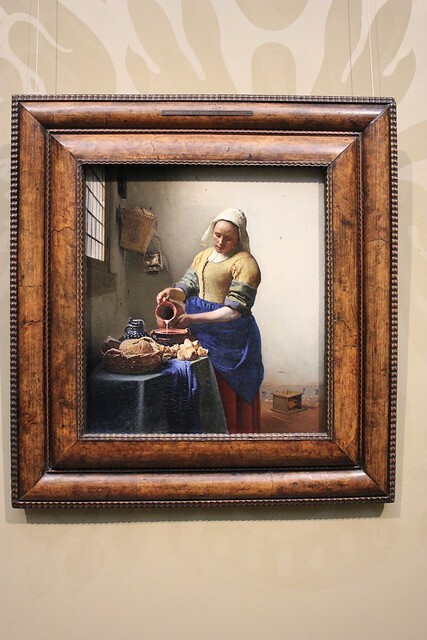 I visited the Rijks Museum and fell in love with 17th century Dutch art. I was impressed by the realism, colour and realism of these painters. 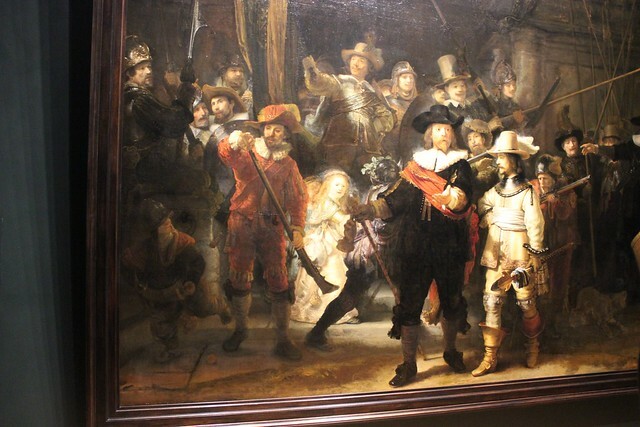 But nothing could compared to Rembrandt’s Night Watch. It was so incredible and huge. 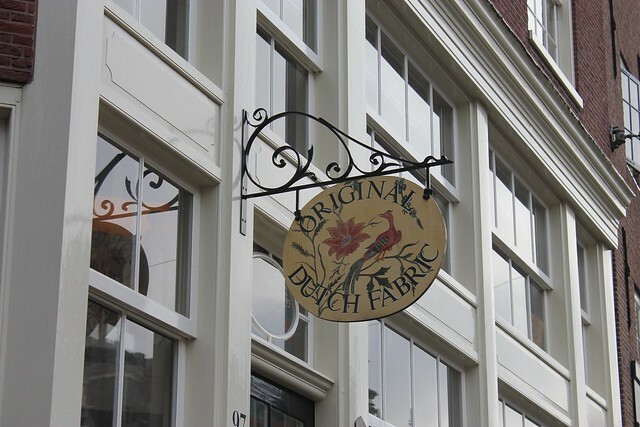 An interesting fact I learned was that the original was cut down to size to fit in between two doors. I couldn’t imagine this painting being any larger. It was so striking, powerful and large, I’m afraid this photo couldn’t capture its effect (nor the full size). 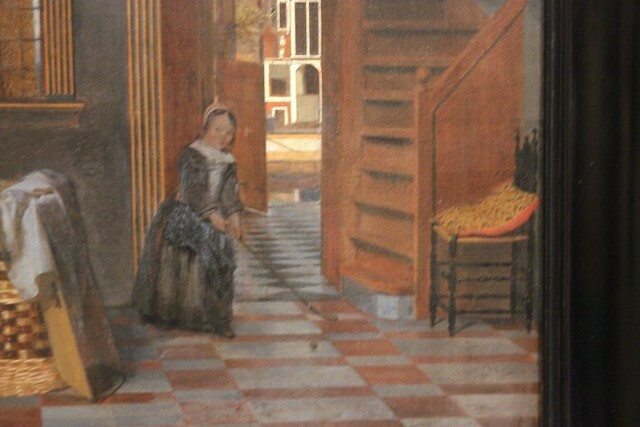 This girl appears to be playing hockey in 17th Century Holland! 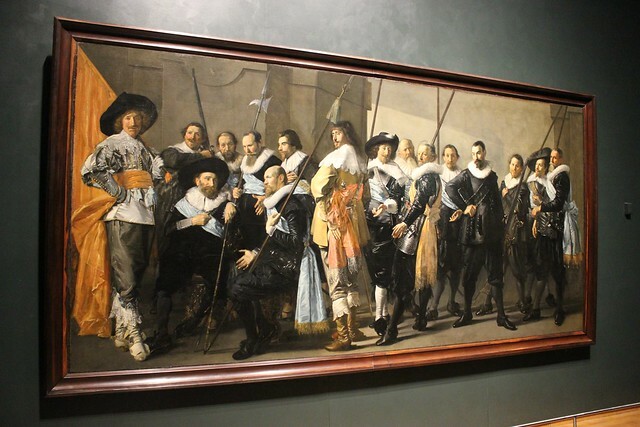 This painting blew my mind! I thought it was a broom, but there’s a ball beside her. The description didn’t explain it at all either… Am I the first to notice this? 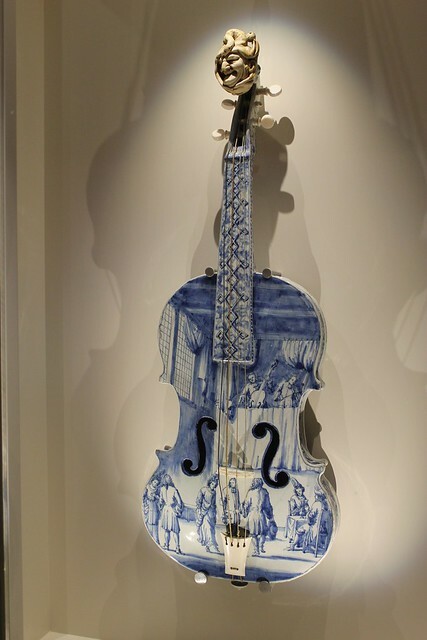 A violin in Delft blue! This was one of my favourite artifacts at the museum. 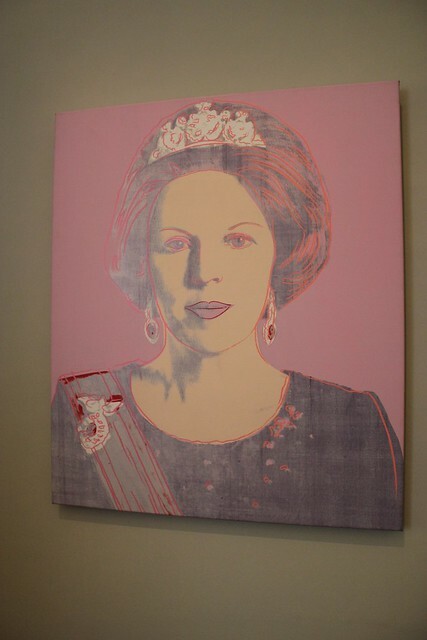 An Andy Warhol silkscreen of the Queen of the Netherlands. 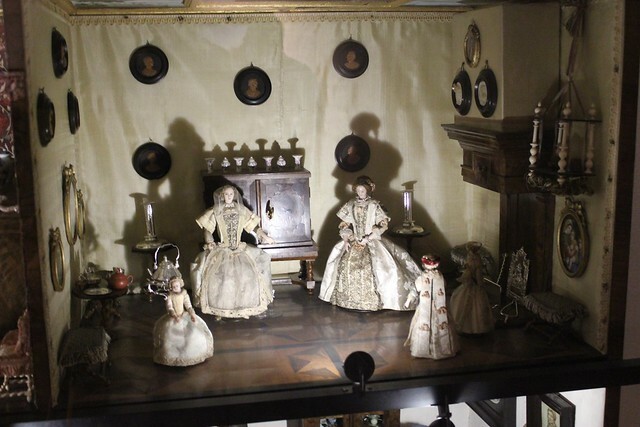 An incredible dollhouse room for a very lucky little Dutch girl. 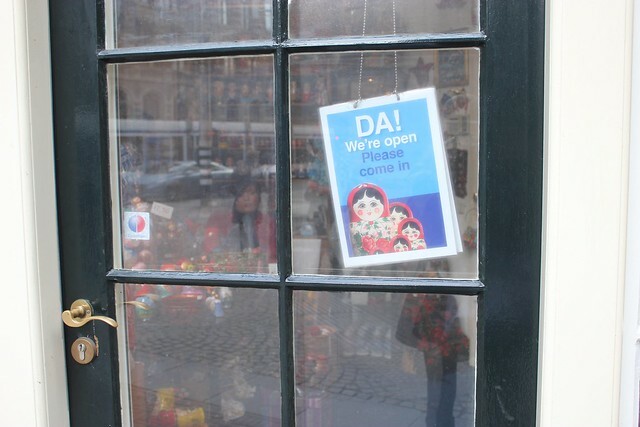 While I sadly didn’t have the opportunity to check out Amsterdam’s shops, this window caught my eye! 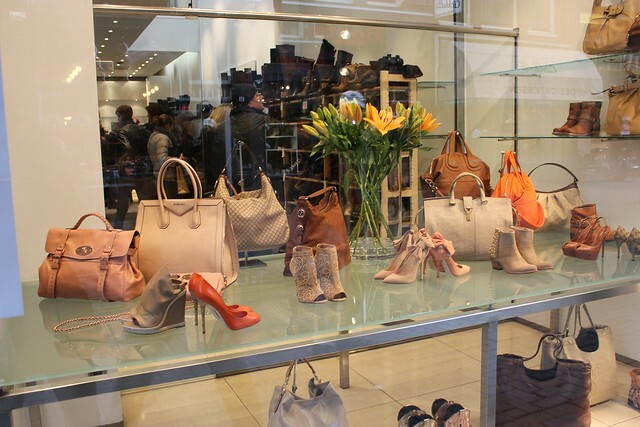 The carefully curated collection of beige, terracotta and blush accessories from YSL, Mulberry and Givenchy are screaming my name! 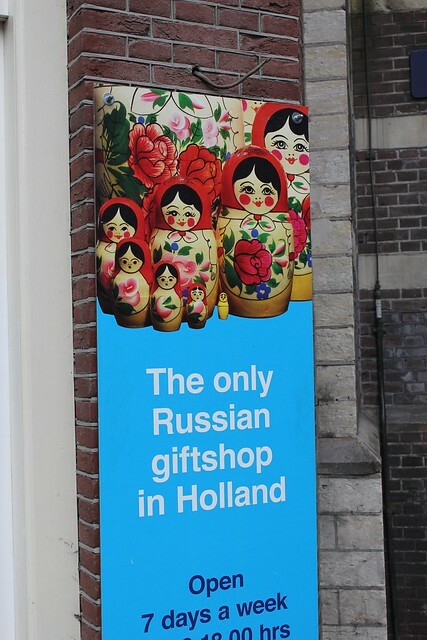 It looked like the store was having a sale too… so I’ll definitely check it out tomorrow. From far away, we thought this was a church or museum! Turns out, it’s a mall! 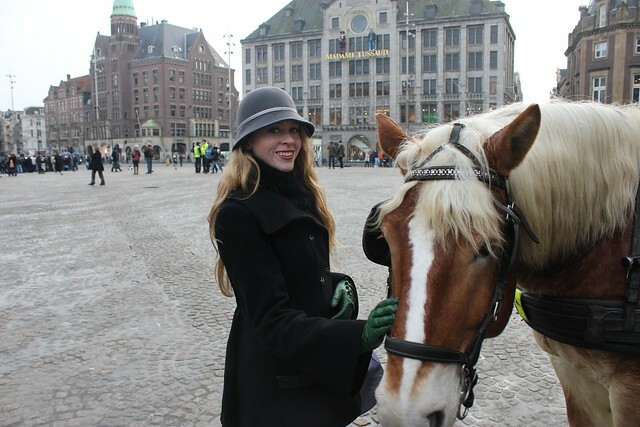 Dam Square is absolutely gorgeous. 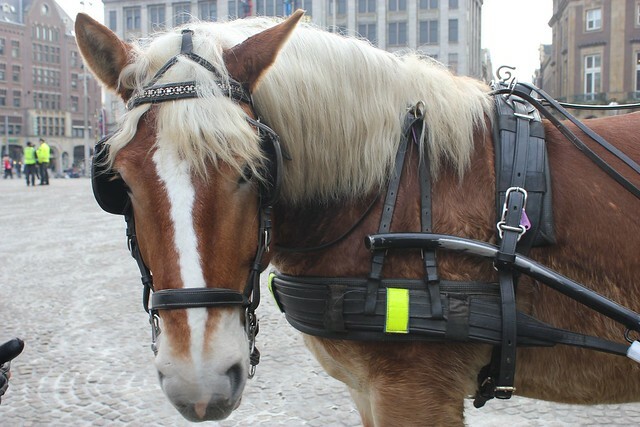 I love the romantic horse-drawn carriages and the energy of this square. 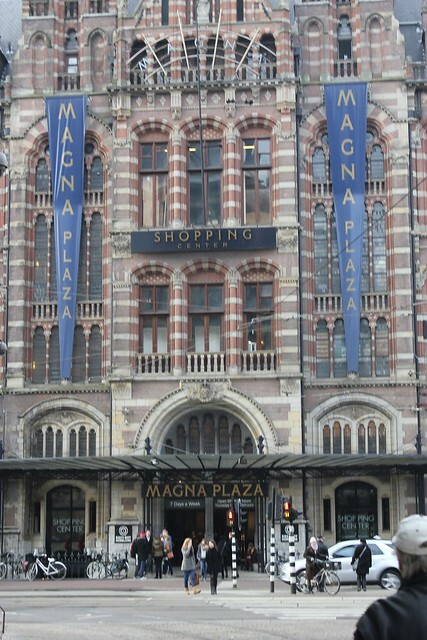 Madame Tussaud’s museum is behind, and I’m curious to see wax figures of the rich and famous sometime soon. 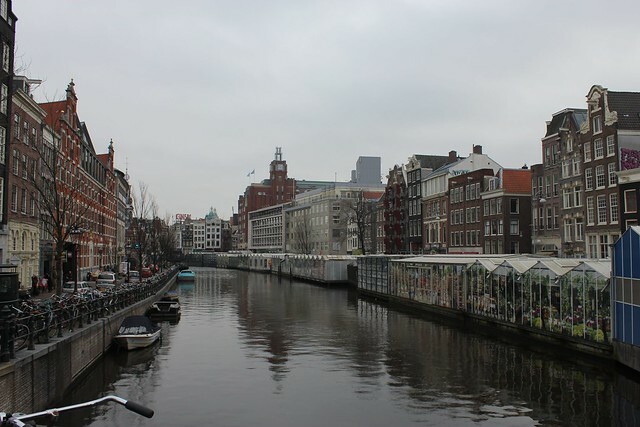 A view of one of the famous canals. 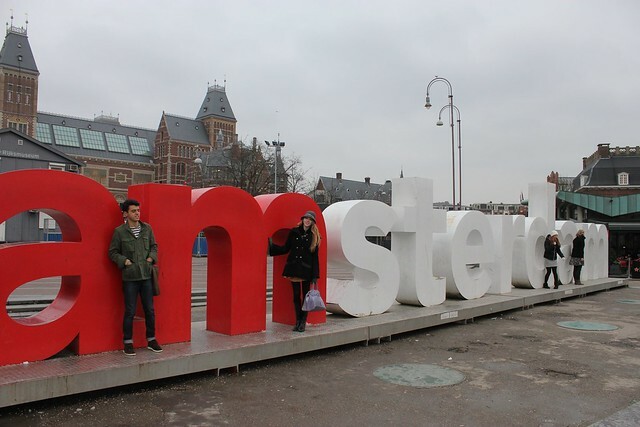 When it’s warmer, I hope to take a boat trip! 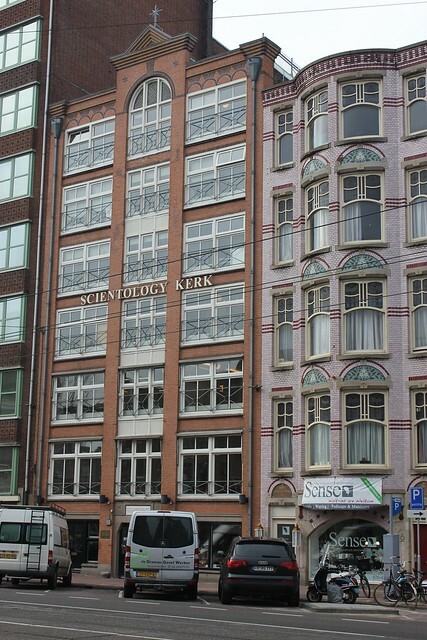 You can even practise Scientology in this town!